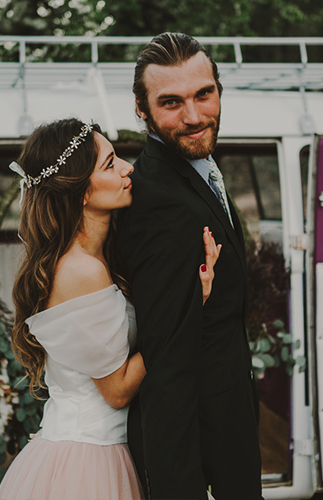 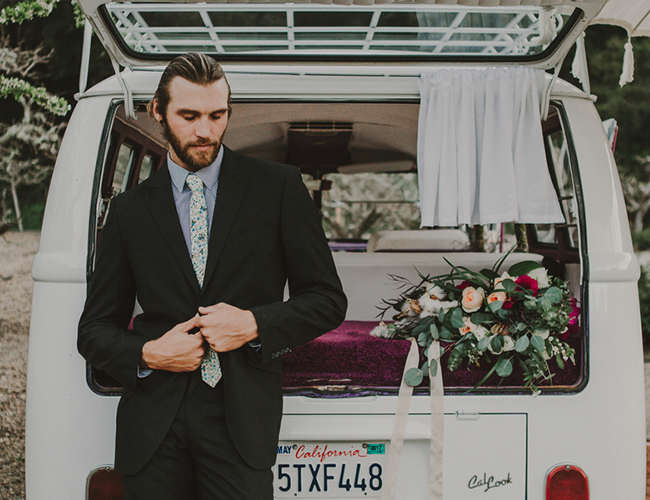 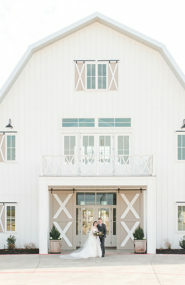 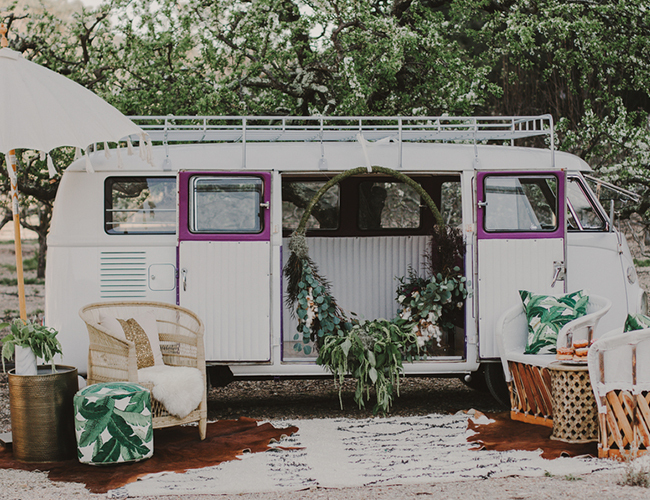 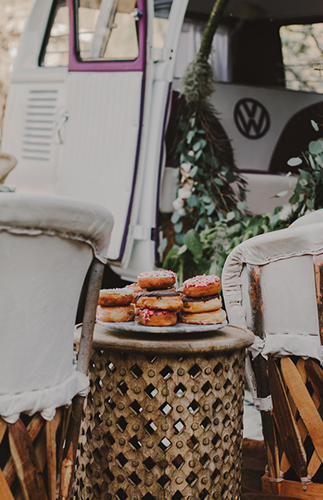 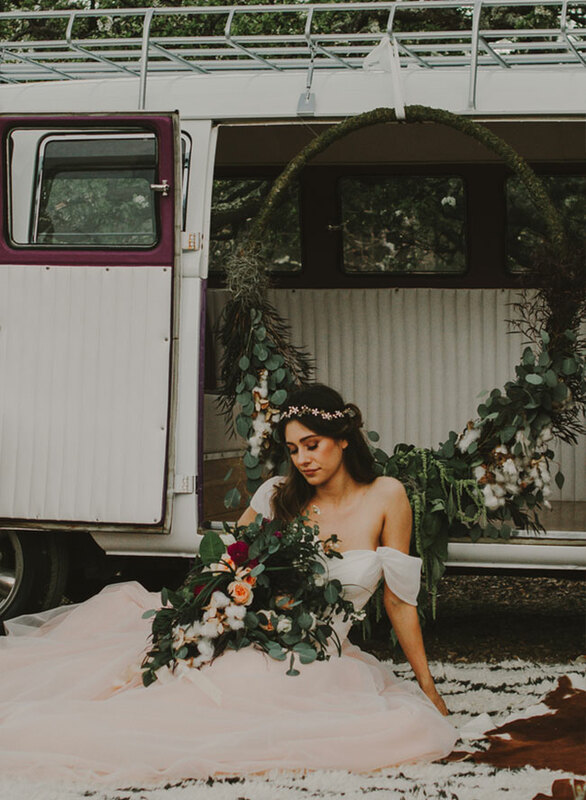 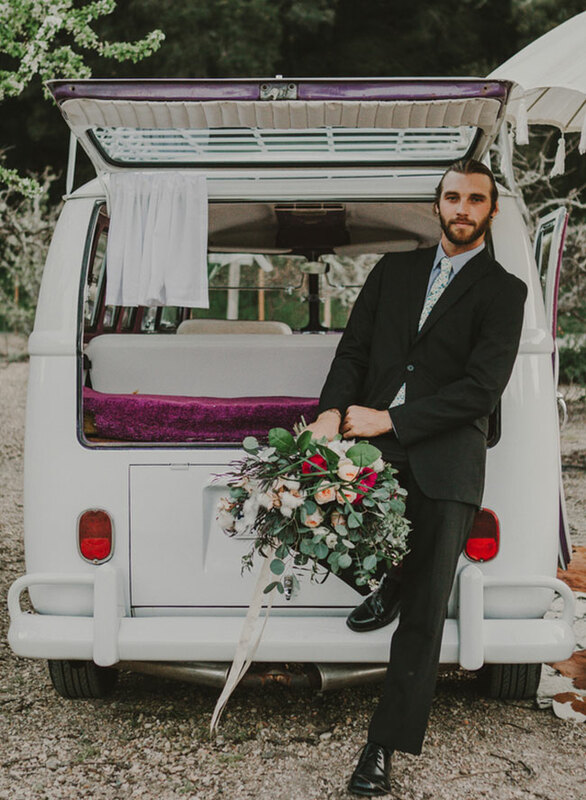 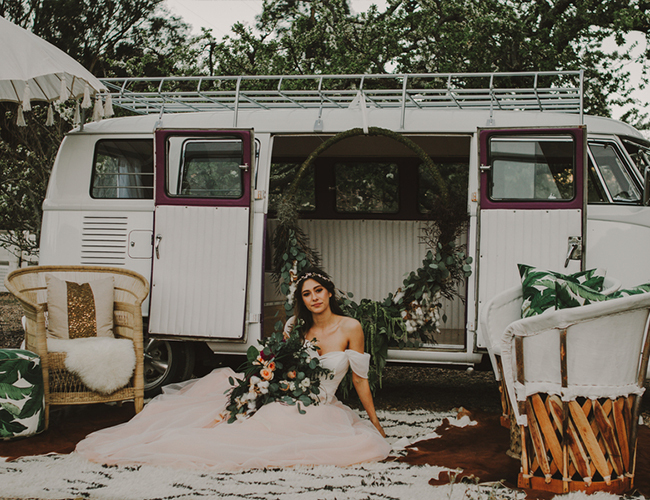 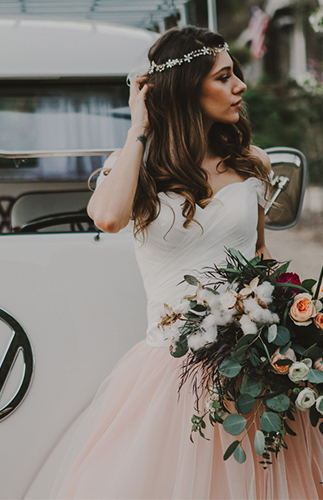 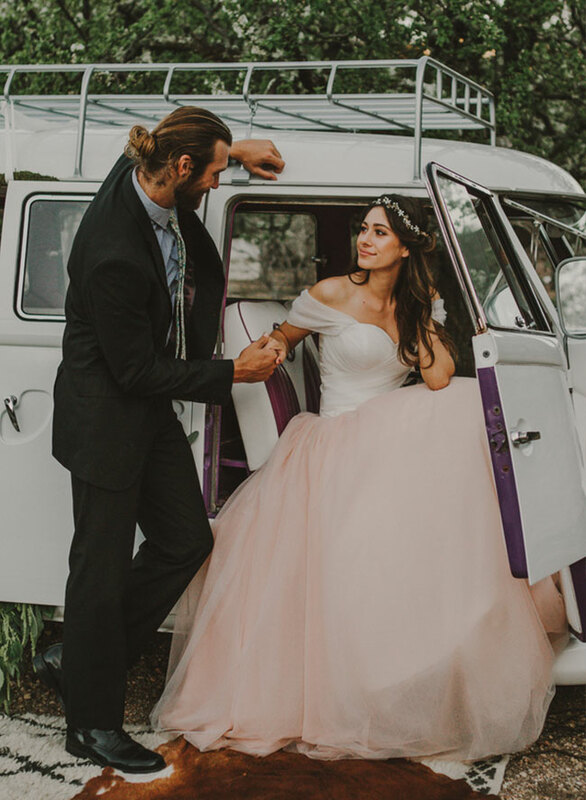 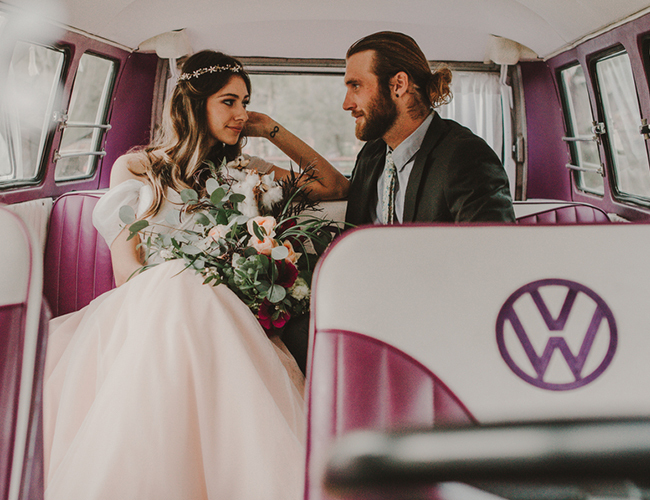 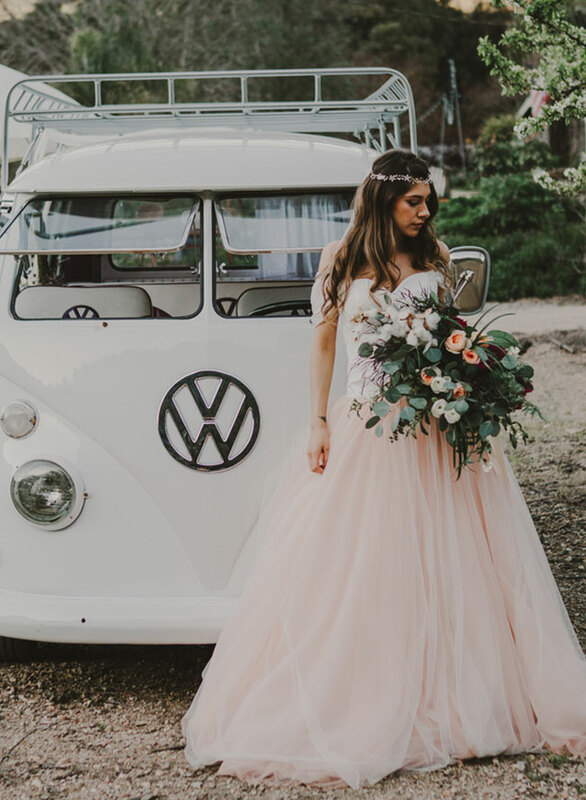 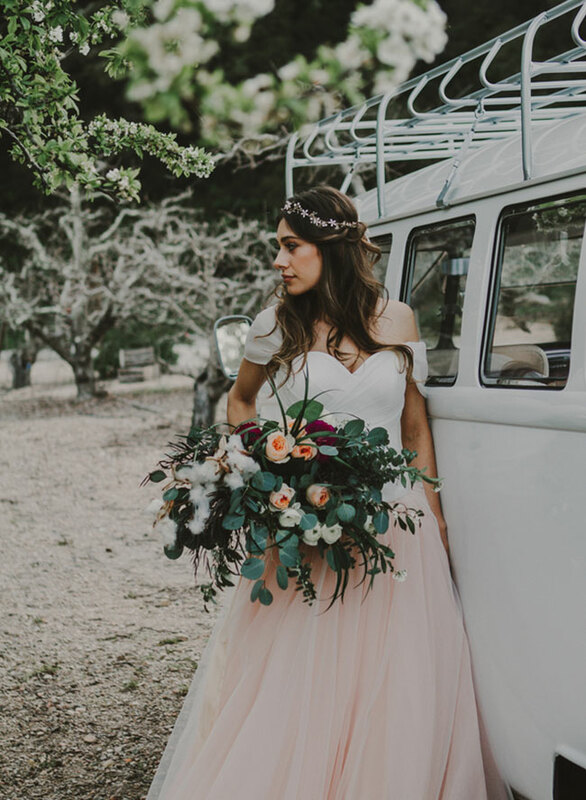 This is a fun spring styled shoot with a VW van as the main centerpiece parked. 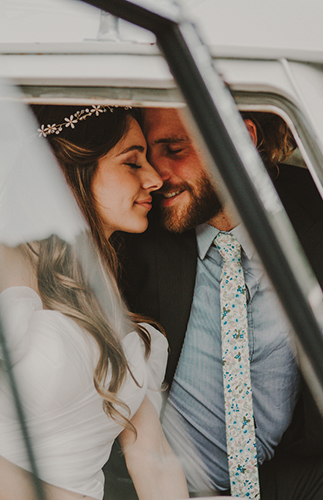 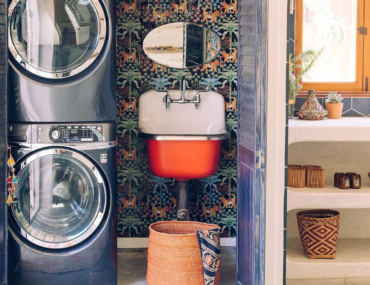 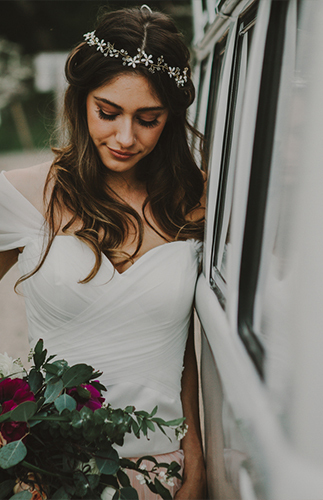 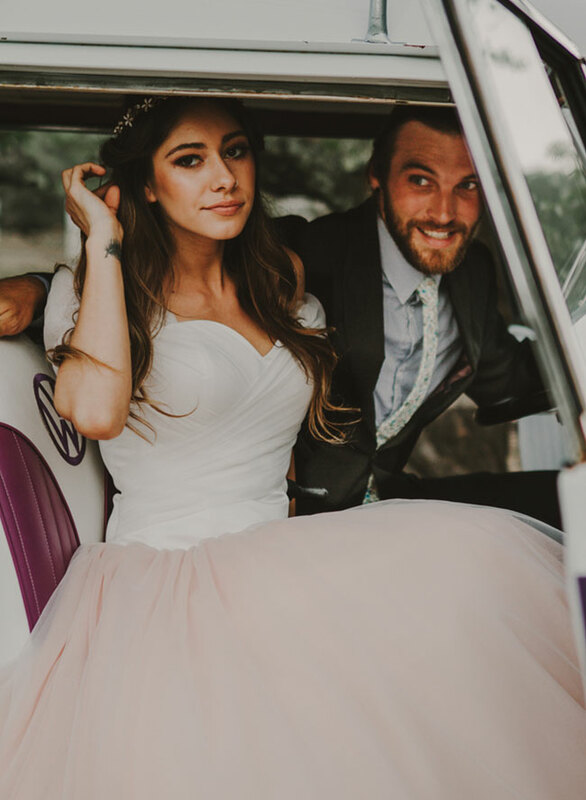 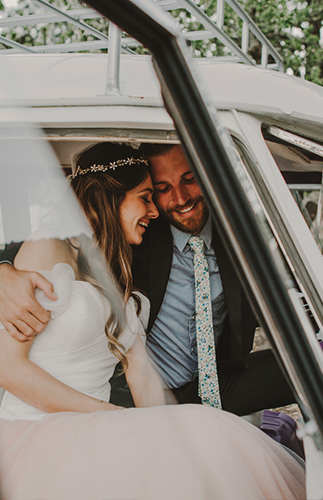 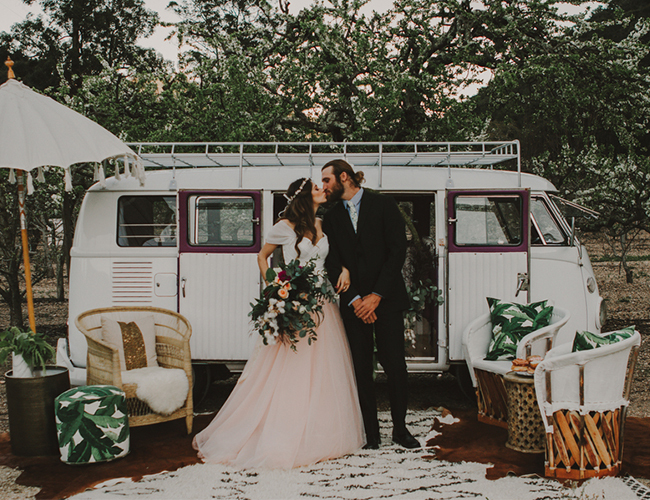 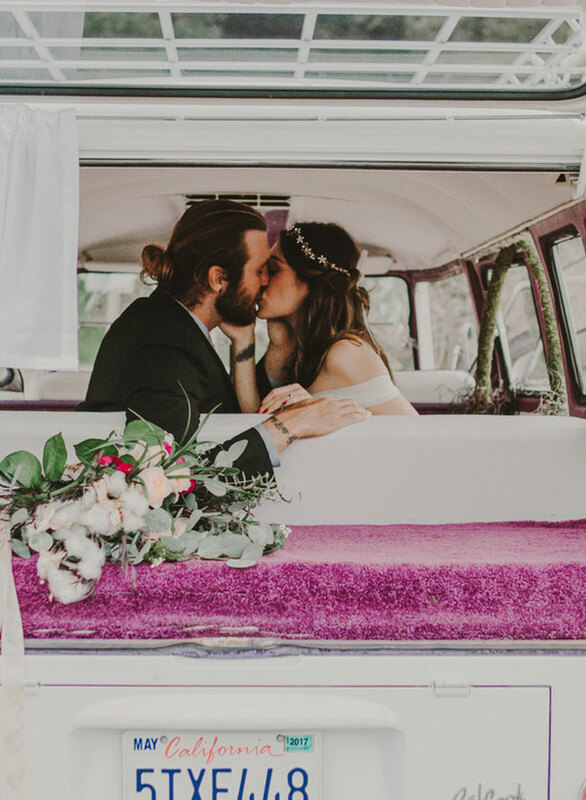 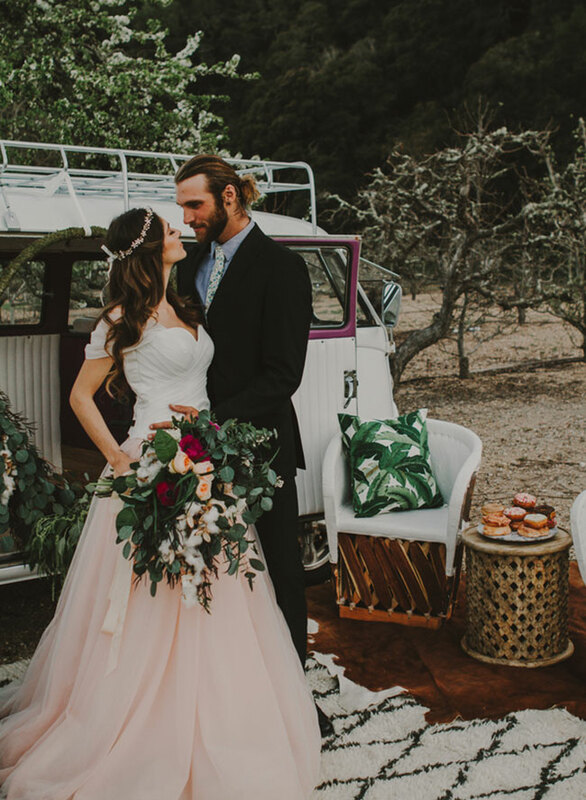 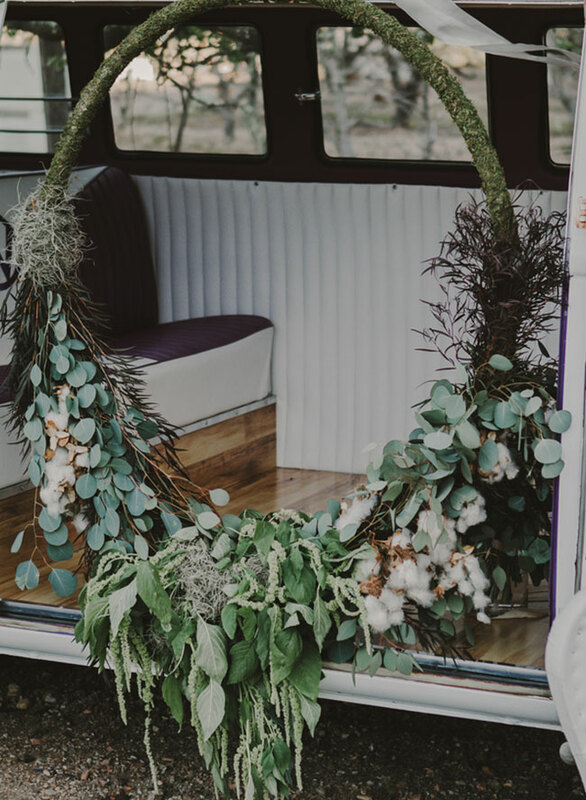 We parked it beneath a flowering fruit tree and decorated with fun rentals and a gorgeous wreath hung in the doorway to tie everything together. 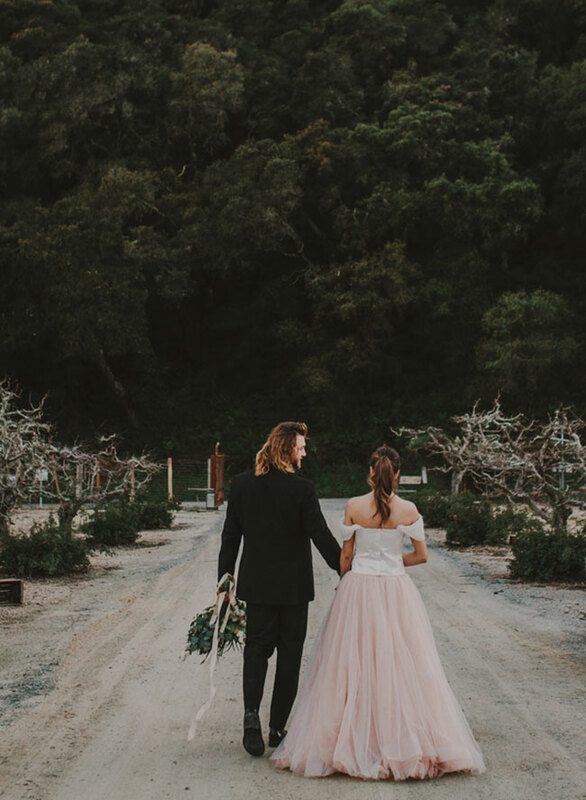 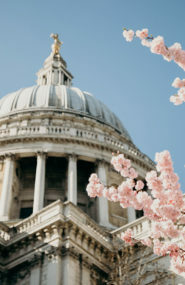 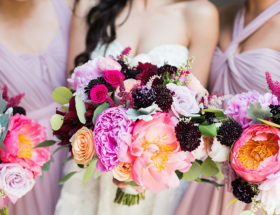 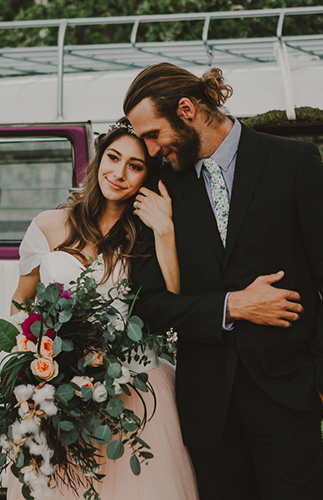 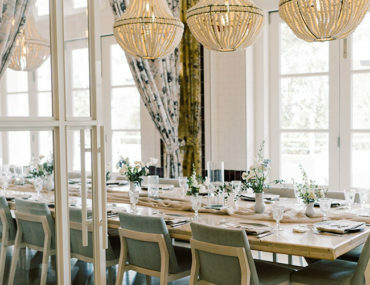 Our bride is wearing a gorgeous full pink skirt for a delicate pop of color and our groom keeps its clean and simple with a black suit and a floral blue tie. 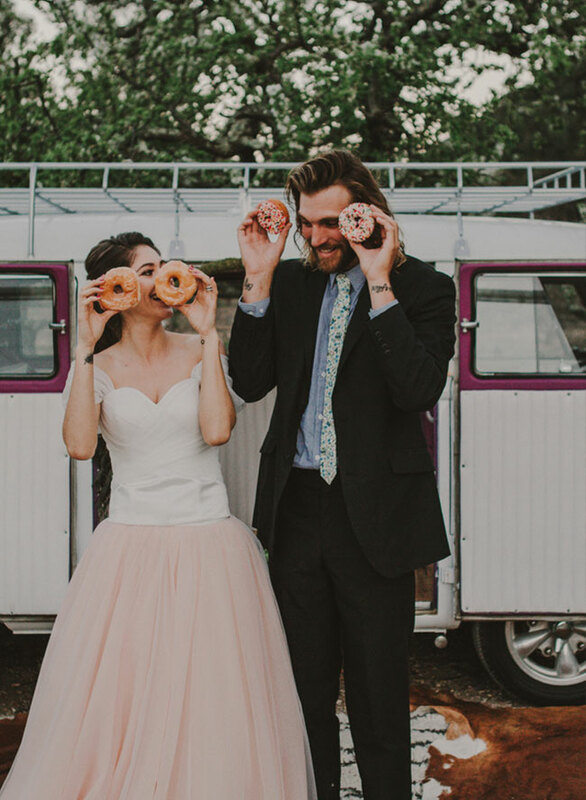 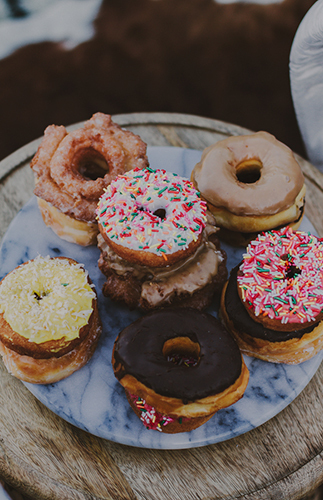 They are all smiles as they embrace the day and enjoy a donut or two. 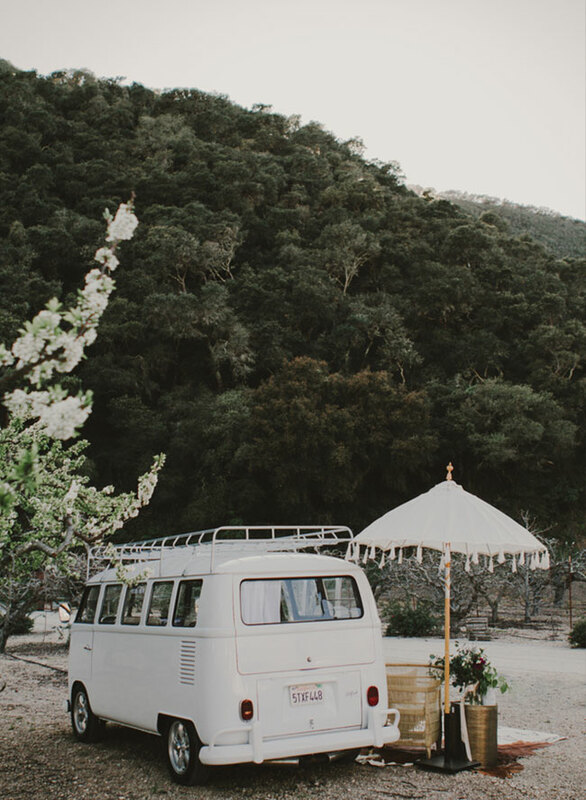 very different from what I see in Quebec Canada.